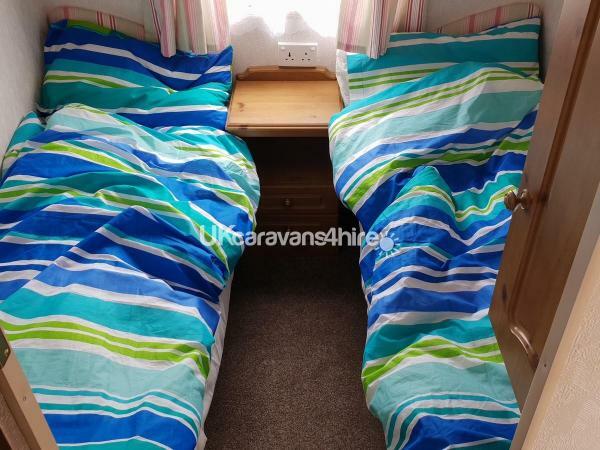 £80 non-refundable deposit and a £50 security bond which is refunded after stay. 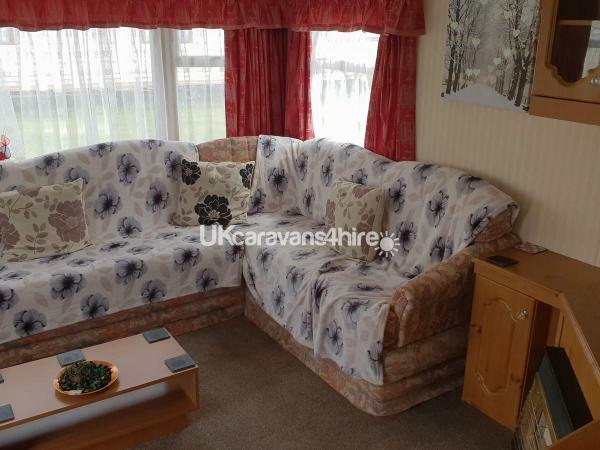 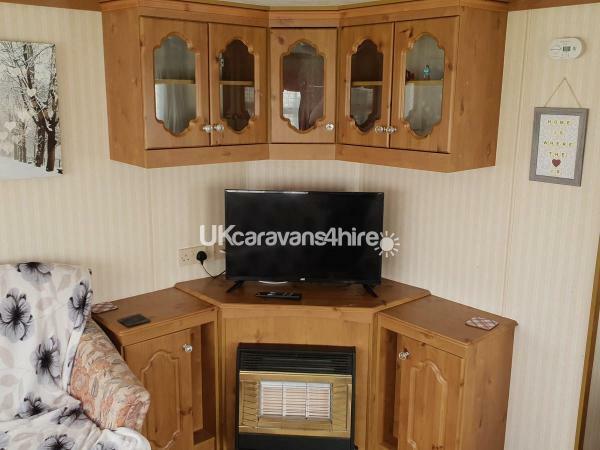 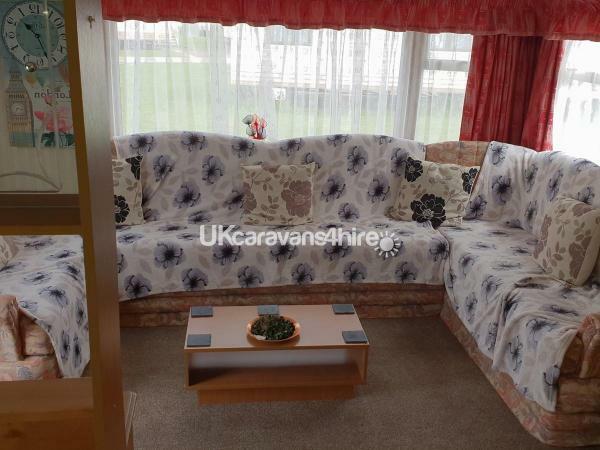 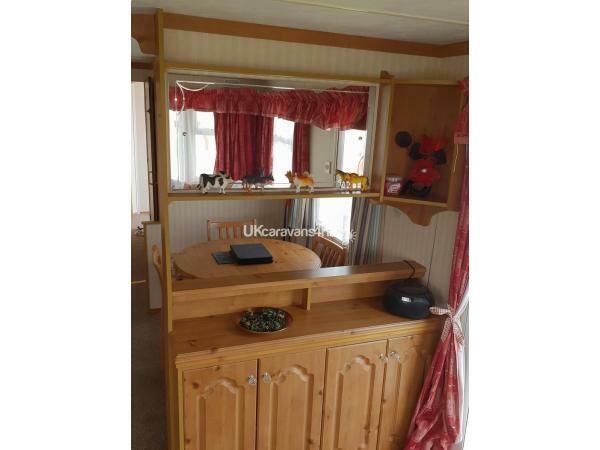 Lovely 6 Berth Caravan with very cosy Lounge with games/jigsaws and books to keep the kiddies happy and off course TV and DVD with a selection of films too. 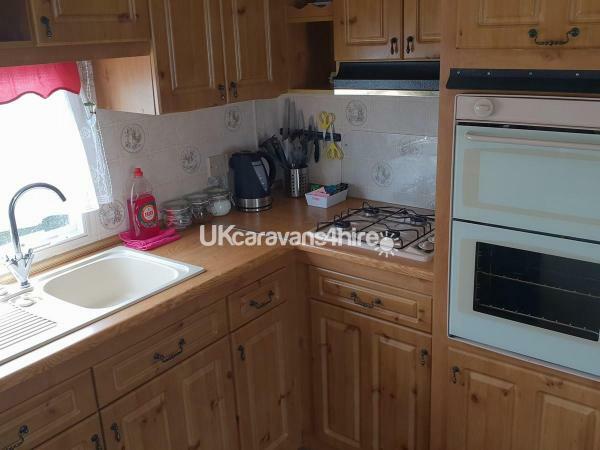 the fully equipped kitchen with everything need during your holiday, There is also complimentary tea, coffee, sugar/sweetener and a selection of condiments. 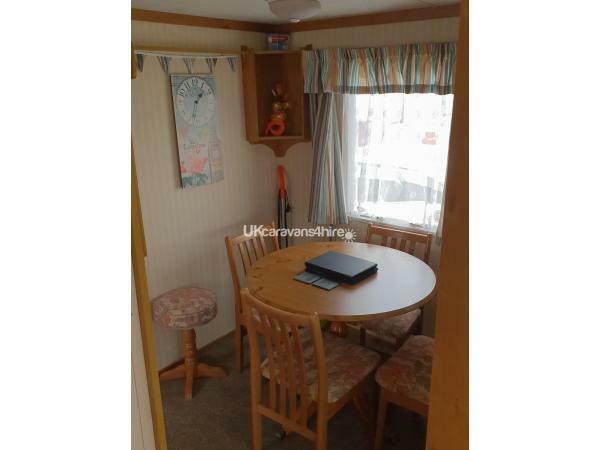 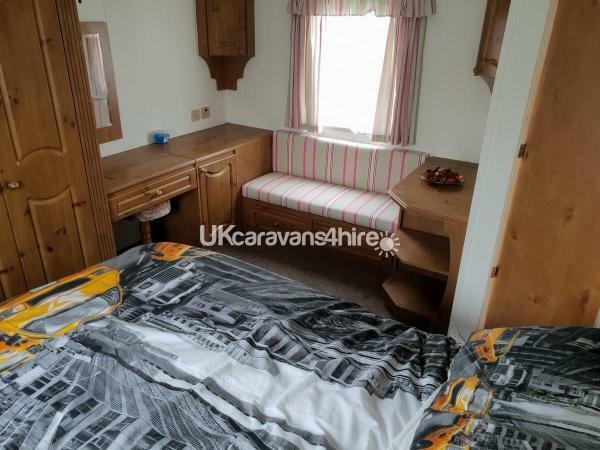 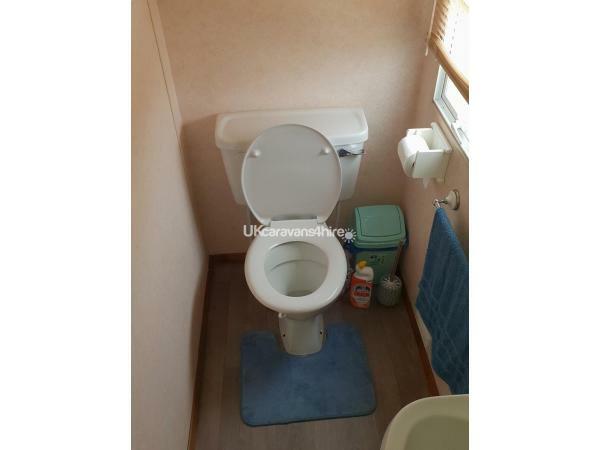 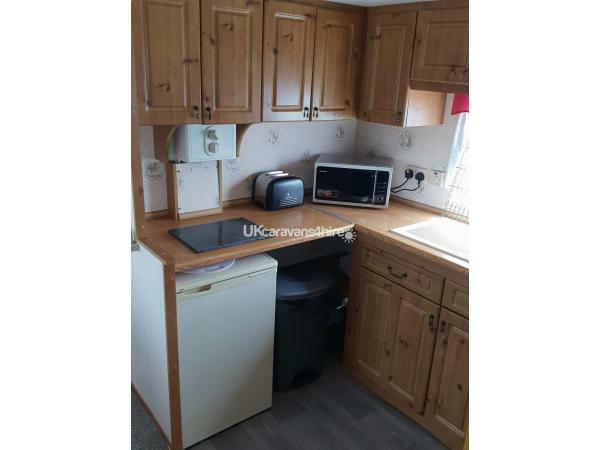 Extra large Double bedroom with fitted wardrobes and dressing table with build in sofa large free space would be ideal for a travel cot if you have a little one. 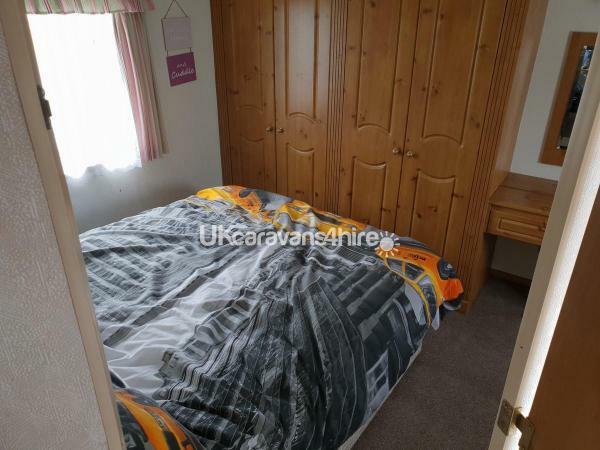 A further twin bedroom again with fitted Wardrobe. 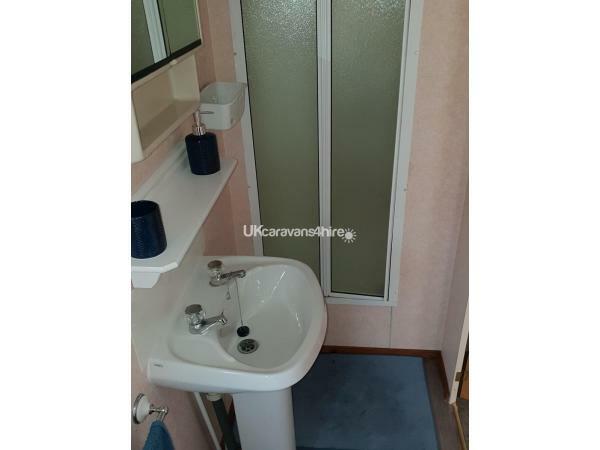 toilet and shower just of the main corridor.